When local conservationist Roger Amerena heard that the various buildings of the Royal Alexandra Hospital for Sick Children were being sold off, he knew that he would have to act quickly to save the fabulous Coach House. The Royal Alexandra was founded at 178 Western Road in 1868 and moved into the disused Church Hill School on Dyke Road in 1870. The present red-brick building with terracotta mouldings was built on the site in 1880-81. The Coach House, across the street on Clifton Hill, was purchased by the hospital in 1937 for storage. All of the buildings, including the Coach House, are currently being sold by Brighton & Sussex University Hospitals NHS Trust in order to consolidate services onto the Sussex County site. The Coach House was built in 1852 to serve No. 5 Powis Villas, known as Aberdeen Lodge, by Joseph Rogers Browne. Stone ornaments, including models of Hercules, a lion and the four seasons, adorn the building which is thought to be the finest example of equestrian architect in its original form in the city. Its imposing doors, with bronze heads of dogs, open into a cavernous expanse of untouched features. The Grade II Listed building has only changed hands twice before now. The site of the Coach House is particularly historic as a windmill once stood close-by which was painted by Constable in 1824. The Duke and Duchess of York were photographed in 1928 at the hospital featuring the Coach House in the background. At the time, nobody knew that they would become King George VI and Queen Elizabeth. 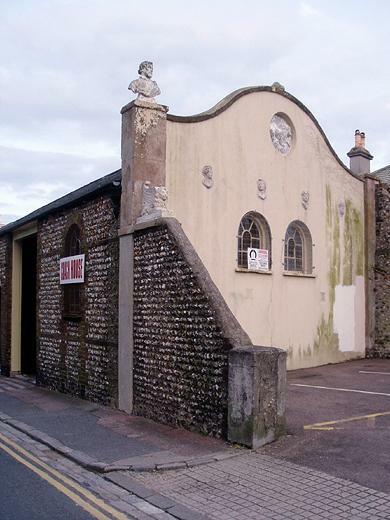 Fortunately, Roger Amerena and his historically-minded friends did move swiftly and were successful in acquiring the Coach House for The City of Brighton & Hove Historic Buildings Conservation Ltd. 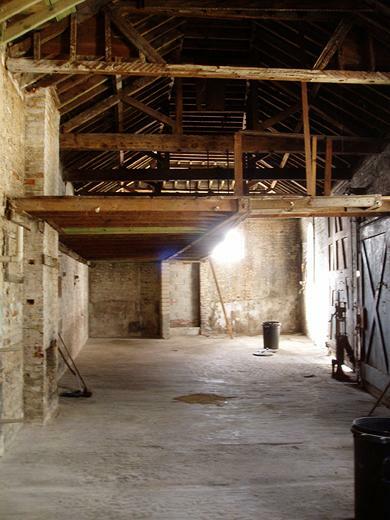 The intention is to raise funds so that it may be sold to a new trust – The City of Brighton & Hove Historic Buildings Conservation Trust. This will pave the way for city-wide involvement at all levels on the project. The purchase, restoration and opening will only be achieved by a team effort. Roger would be delighted to hear from anyone who can help on rogeramerena@isiscapital.com or 01273 729998. It’ll be a long time before the long war between those after quick profits and those who care about Brighton is decided. This battle, however, is a clear victory for those who have the city’s best interests at heart.